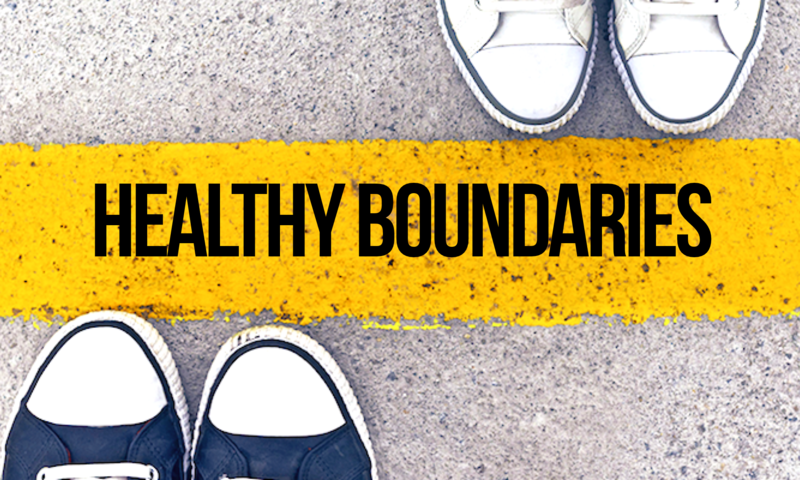 I’ve been asked quite a lot about personal boundaries and how to set them, how to recognize what is a healthy boundary and how to enforce the boundaries we have. I’ve been kind of noodling on this for a while, and I feel like I’ve got a good idea of how to tackle it, now, so I’m going to start with a biggie: Intimacy—in this case, emotional intimacy. In each part of this series, I’m going to give examples of a boundary being too soft, too hard, and what a healthy boundary level looks like. I’m also VERY open to your thoughts and opinions and questions as we go, including suggestions on other boundaries that you’d like to see covered. People with soft intimacy boundaries tell way too much too soon about their personal lives, often either scaring people off or signaling they are vulnerable to less-than-pure intentions. It’s more than that, though, because there are many ways to be open and transparent without necessarily having weak intimacy boundaries. It’s often a combination of oversharing AND making themselves overly vulnerable to people who have not yet matched their level of investment and disclosure in a relationship. These people avoid any vulnerability or closeness in relationships, period. Many avoid emotional relationships altogether, usually to their detriment, as it leads to loneliness and a sense of alienation/isolation. This is often the result of being hurt in the past, and it’s totally understandable. It’s still not healthy. Sure, this could be good for a time of healing, and reflection. However, never stepping back out of that hard shell will ultimately stifle your experience in life. These people value their own thoughts and opinions, while also being open to others. They share pieces of their life, and look for others to share in return, creating an evened-out give-and-take of vulnerability and deepening of the connection. They’ve probably thought about about what and how much they’re willing to share with “just anyone,” and what they prefer to keep to themselves until they know people better, and they stick to those personal boundaries, even under pressure, or when they REALLY want someone to like them. They realize that sharing too much, too fast can overburden and stress others, leaving them in an awkward and uncomfortable position. They also protect their own well-being by being clear when they don’t want to be involved. This may be because they don’t currently have the bandwidth, or because they feel like it’s none of their business. People with healthy intimacy boundaries share without expectations, and don’t feel that they MUST return any specific reaction when others share their own stories. It’s all about consent and personal investment, and they invest based on what they’re willing to offer of themselves at any given time. What can you add to this conversation? Do you find yourself often in one of the not-as-healthy patterns? If so, what can you do, to make it feel more healthy to you? How could you practice healthy boundary setting and maintenance? Did I miss anything that you feel should be added? Next PostNext Oh, I See. It’s For MY Protection.